Sim network unlock PIN Problem? 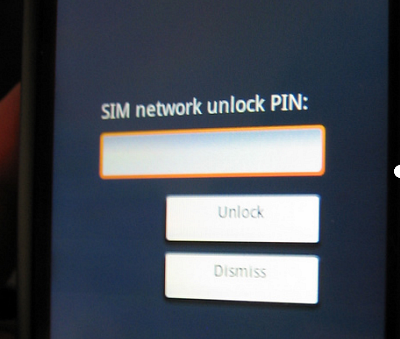 Are you receiving “Sim network unlock PIN” message on your mobile device? YOUR PHONE IS LOCKED TO THE NETWORK! It will not work unless you unlock it. Do you want to by pass it so you can use your simcard with your phone? This means that your phone’s network is locked, and your simcard will not work with it unless you have an unlock code. Cellunlocker.net can provide that unlock code for your mobile device 100% Guaranteed or your Money back. Please contact us or place your order online, and we will email you the unlock code to you with instructions. hi, I bought this android 2.2 phone and I can’t seem to use other Sims for it unless a vodafone alone. plz can u help me with the unlock code? yes you will require the unlock code for that. i have “sim network unlock pin” on my samsung nexus mobile. please send me an unlocker code. hi reza just want to ask if your problem is answered thank you.. we have the same problem.